The PopLok ®, manufactured by EndFlex, is a customizable automatic tray forming solution designed to erect self-locking corrugated and paperboard trays with or without a lid. The PopLok ®, capable of forming 1-tuck, 2-tuck, and multi-tuck trays, is built in a heavy duty welded steel frame and constructed with durability and longevity in mind. The PopLok ® operates efficiently by gently pulling tray blanks, one at a time, from the hopper to a forming section where precise plows then erect the side and end panels of the tray. At the same time, the minor flaps are folded and the tray finally passes through a set of side bars that fold and lock the roll-over flaps into place. Using no glue or tape, the PopLok ® handles a large variety of blank sizes and configurations to produce an impressive finished tray. 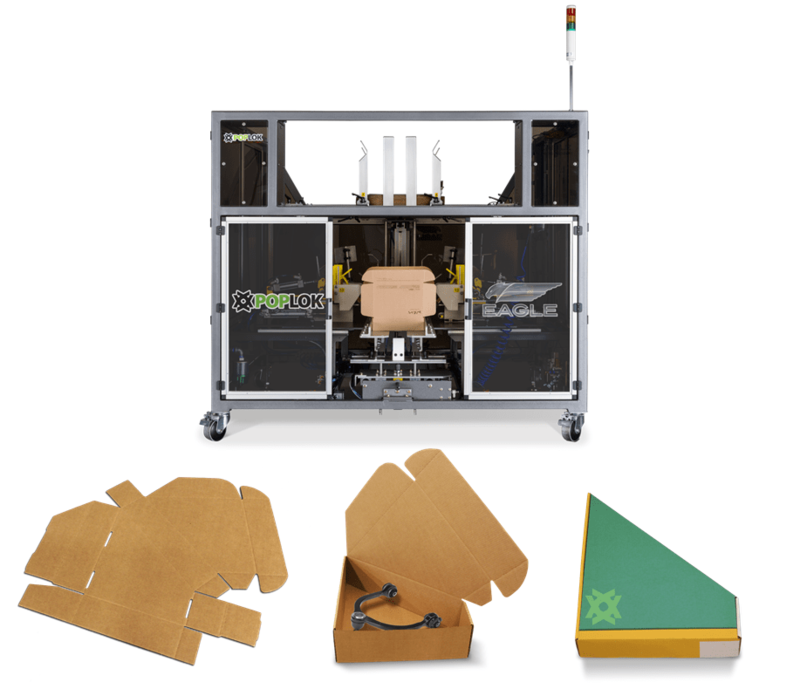 Delicate machine handling ensures that tray graphics are not marred in any way for retail-ready display requirements.